We're baaaaaack. That's right, it's time again for our annual holiday link up party! Woot woot. This year, the girls and I have added a few new friends and we're so excited about the crazy Christmas crafting talent that they have to offer. The link party hostesses include Carmel from Our Fifth House, Michaela from Michaela Noelle Designs, Cassie from Hi Sugarplum, Megan from Honey We're Home, Courtney from A Thoughtful Place, Heather from The Lovely Cupboard and Natasha from Schue Love. 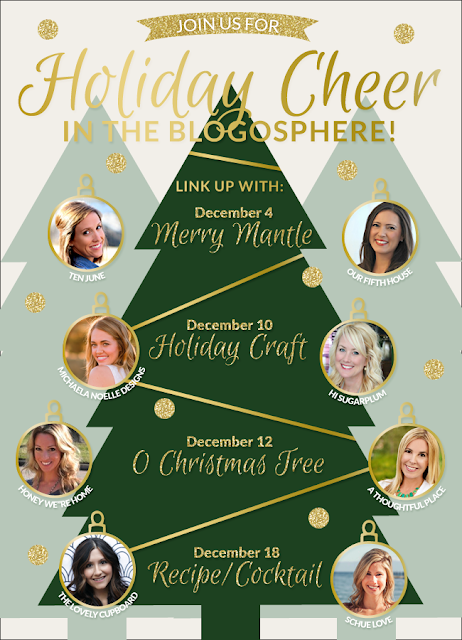 We've got four holiday topics lined up: holiday mantel, holiday crafts, Christmas tree, and holiday recipe/cocktail. On each of the days listed above, you'll have not one, but two places to link up to for that topic! Carmel and I will get the party started by hosting the holiday mantel link party on December 4th. That's right, it's time to get your mantel decor on this weekend so you're ready for the party next week! 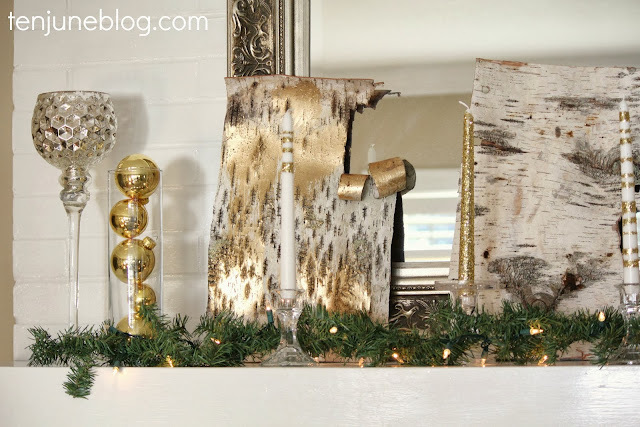 If you want some extra inspiration, check out the previous years mantel link parties that I hosted. 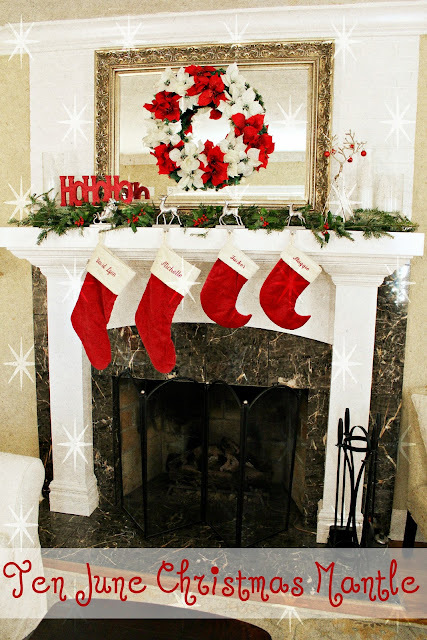 There are millions and millions (okay, more like hundreds) of beautiful holiday mantels for inspiration! 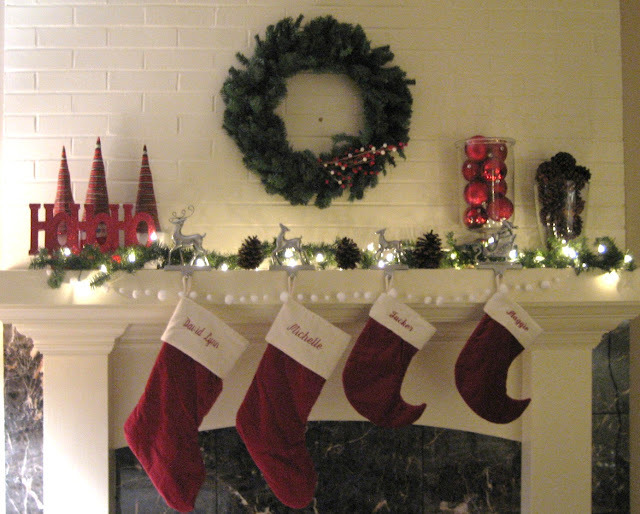 And just for kicks, here's a peek at my 2010 Christmas mantel. Are you ready for some holiday link party fun?! As soon as you finish your turkey on Thursday, start unpacking the holiday decor and join us for the fun next week! Grab this button or the graphic above and share on your sidebar, blog, Pinterest... wherever! Psst! Thanks to Brittany for the adorable graphic design. Can't wait to link up! 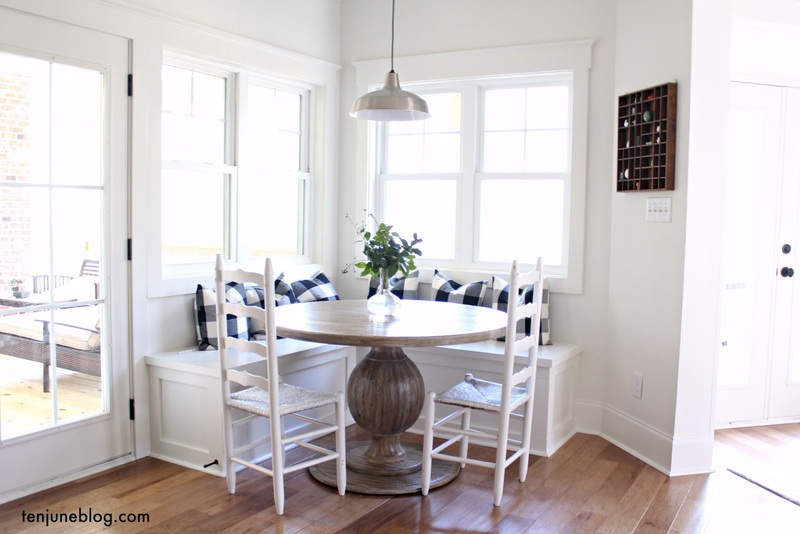 Love reading your blog... your 2012 mantle is my favorite! Happy Thanksgiving, Michelle! Looking forward to linking up next week! Hooray! I loved this holiday link up last year! Can't wait to join in again this year!